Saudi Arabia is preparing to ban sexual harassment, officials have been evicted. This will come less than a month before the conservative kingdom lift its decades-old ban on women's driving. The kingdom's Shura Council, which advises the cabinet, on Monday approved a bill that would introduce a prison sentence of up to five years and a fine of 300,000 riyals (US $ 80,000). The bill "is a very important addition to the history of regulations in the kingdom," Latifa al-Shaalan, a member of the Shura Council, said in a statement from the Information Ministry. "It fills a large legislative vacuum, and it is an impediment," he added. 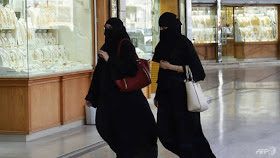 The kingdom's driving ban on women is scheduled to end on June 24, as part of a highly publicized liberalization campaign launched by powerful Crown Prince Mohammed bin Salman, who calls himself a progressive reformer. The prince also lifted a decades-old ban on movie theaters, allowed mixed concerts and trimmed the powers of the dreaded religious police.